1. 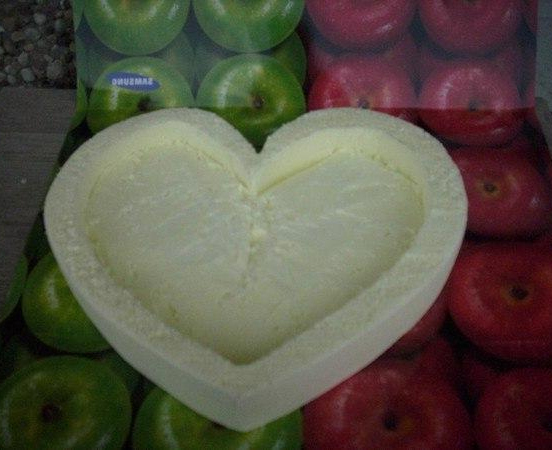 First, we need to make a heart-shaped foundation. 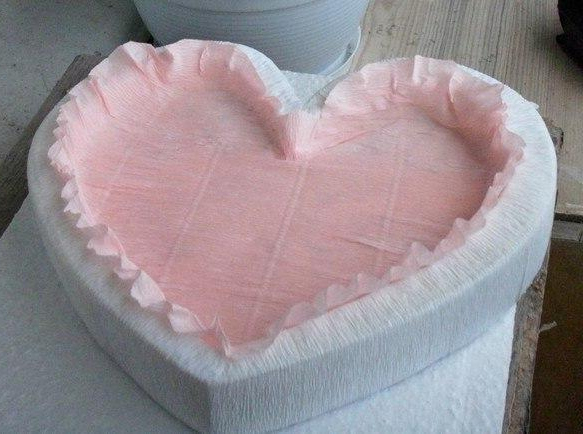 To do this, draw on the cardboard heart, cut, carry the stencil on the foam and cut the heart. 2. Then it is necessary to make a niche in the workpiece. 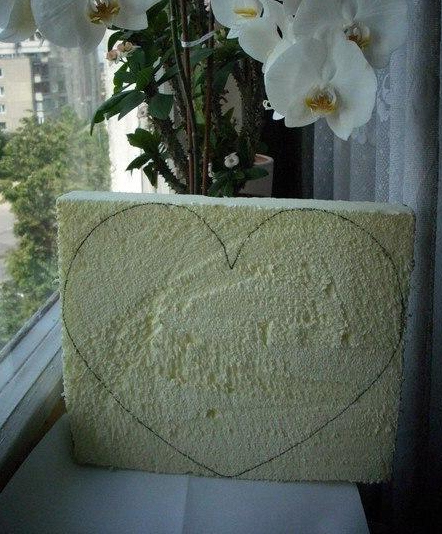 To do this, cut a stencil with a heart, less from the previous centimeter to three, transfer it to the cut from the foam heart and make a niche, as shown in the picture. 3. Take a white corrugated paper and wrap her heart. To keep the paper well, use glue. The inner part of the heart is also decorated with paper, but other color. All! The heart is ready. Now it’s time to put the candies in it tightly. 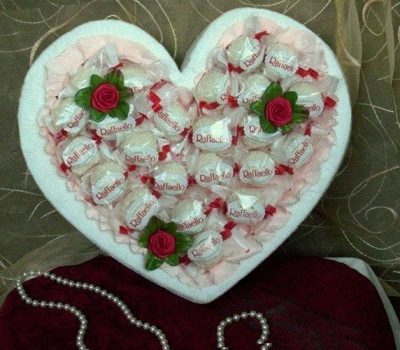 You can also decorate the heart with a décor.